It was in response to Ed about the palms in Paris. The CIDP's in the UK are not native was my point. By long term plantings I meant originally there as in "native", not how long they will last. I think NZ is an exception to this. Parts of the country that couldn't support the native palm, still to this day don't really have any palms (or they are very rare). Parts that did have the native palm, still didn't really get into palms in any great way other than botanical gardens etc. What NZ primarily got from the Victorians, was a love affair with conifers,Deciduous trees, winter flowering plants, roses etc. It was really a reaction to the "foreign" nature of NZ Flora. That is the ugliest Needle Palm I've ever seen, it almost doesn't even look like one. 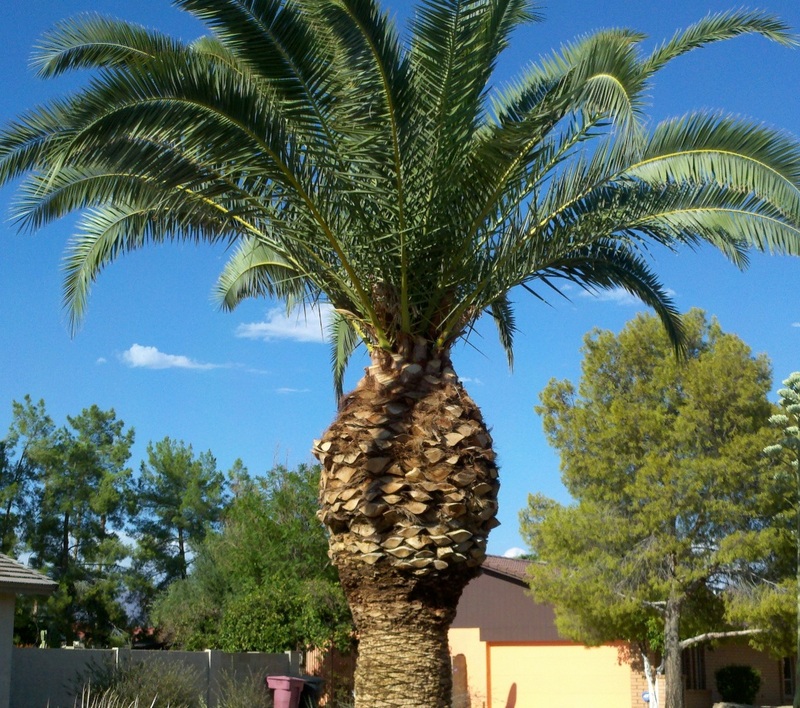 I hate when people go overboard with the trimming, especially when they give Phoenix palms the pineapple look. - and even California (only one native palm - Washingtonia)....but that incorrect in the Gulf/South Atlantic states, and esp Florida. Southern Florida has lots of tropical palms, but I thought more about the "old south", the more subtropical area of southern US rather than the tropical strip of Florida. My point is not that there aren't palms native from those areas (I thought mostly about California), the fact is that most of the ones we can see on the streets, cities, seashores (and which fit perfectly there) are more mikely to have been planted by man not so long ago. The only vegetation I could ever hate would be those stickers that stab feet and paws and get tangled up in horse manes. Why hate a tree? It just seems strange to me. First off, I said "dislike". Second, I said I don't like the look of them when they're out of their native range, they look ugly in my opinion. Jeez, I don't know how many times I've said that. I think you're talking about Spanish Moss, btw. When I said Europe... I was referring to areas north of the Mediterranean Sea. I think chamaerops is native to southern Spain and southern Italy. There are no palms native to temperate Europe from what I understand. Most climatologists make a distinction between "temperate Europe/D Climates" (UK, Germany, northern/central France, Denmark, Ireland, Poland..etc)...and "subtropical southern Europe/ C climates (Spain, Portugal, Italy, Greece, far southern France, ...etc). Southern Florida has lots of tropical palms, but I thought more about the "old south", the more subtropical area of southern US rather than the tropical strip of Florida. My point is not that there aren't palms native from those areas (I thought mostly about California), the fact is that most of the ones we can see on the streets, cities, seashores (and which fit perfectly there) are more mikely to have been planted by man not so long ago. There is a distinction between the more tropical palms in the southern half of Florida and those in the “old South” (and I’m assuming you mean states like Louisiana, South Carolina, Georgia). However, there are a few palms that are "native" to the Old South that where there BEFORE humans (Sabal, Serenoa, Rhapidophyllum hystrix, that I know of). Generations ago (1800’s) most of the palms one saw in the Old South port cities (like New Orleans or Savannah) where one or more of these palms. However, these days your right - one is more likely to see non native palms that humans have introduced to the southern USA ( Butia, Queen, Washingonia, Canary Island Date Palm…etc). My point (and one that I think gets lost in the hatred/love of palms), is that in many areas where palms grow wild (like Florida or parts of Australia for example) people within those areas seem like they could care less about planting a palm ….while in contrast those in decidedly temperate and higher latitude locals (like NW Europe or the PNW) seem to plant any and all palms that will grow. It is a bit ironic I thought. I don't like most palms unless they are the cabbage palm growing in the wild where they are native. I never want another palm in my yard to clean up after. They sure can make a mess. Sorry. 15 pages or so of palm slander. j/k palm dislike was too much. so I don't know how many times either. I just like trees, though I'm not a hugger... unless I know and have a favorable relationship with one. Pines make a huge mess in yards but I love them anyway. Spanish moss? me? The stickers? More like cockleburs.